Nonsense verse is a delight for children of all ages and The Nose Book is no exception. The author's fanciful illustrations, along with her amusing observatiuons on the subject of the human nose indicate that another memorable humorous poet has joined the ranks of Jack Prelutsky and the beloved Dr. Seuss. 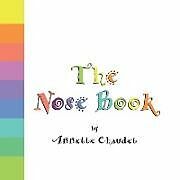 THis little book is treasure for the reader and the read-to alike as they follow the author's logic that while "a rose, is a rose, is a rose..." a nose is not necessarily just a nose!